At our church we are trying to recover the Biblical doctrine of womanhood. We teach our women that the being a wife, homemaker, and mother is a glorious calling. We believe this is a mark of Biblical faithfulness in our age. But just trying does not mean we are succeeding. What might prevent a woman in our church from growing as a wife and mother? What might cause a Christian woman to wilt instead of thrive in her vocation, which is presented as a blessing in the Scriptures? What might cause her to reject her calling as a wife and mother or to find that task a tremendous burden? We usually assume that women stumble in this area because they do not have the teaching on their vocation. And sometimes they don’t. Sometimes the most basic truths, such as submit to your husband, have not been taught. However, another potential reason for this lack of growth, especially in churches that are trying to strengthen families, is that sometimes much of the Bible is not applied to women. Of course, Christian women in these churches often read the whole Bible. However, they spend most of their time applying a few select passages instead of applying all the Scriptures. They apply passages such as Ephesians 5 or I Timothy 2 or Proverbs 31, which they should do. However, they spend very little time thinking about how to apply Numbers or Hebrews or Romans or Revelation to their lives. They might know the content of these books of the Bible, but often they do not know how these books apply to them personally as daughters, wives, mothers, and grandmothers. Let me clarify this point using Ephesians. Ephesians 1, 2, 3, 4, and 6 are just as important for Christian women as Ephesians 5. We all agree with this in theory. 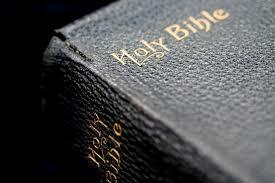 No one argues that one chapter is more important in the Bible than another. However, in practice we can minimize the importance of all of Scripture for our women. For example, when a woman is struggling in her duties as a wife do we keep directing her to Ephesians 5? Why not send her to Ephesians 1 to find the grace to fulfill her calling? We are elect in Christ. We have redemption through his blood. These great truths set up Paul’s exhortation in Ephesians 5. Going to Ephesians 5 is not wrong, it is just not sufficient over the long haul. Here is another example. How many Christian women see themselves as “raised up with Christ and seated in the heavenly places?” (Ephesians 2:6) They may know this verse, but it is doubtful many understand how it applies to their life or even consider it important to apply it to their life? My point is this: Christian women need to see how the whole Bible applies to their whole life, not just those verses that directly address their duties as wives and mothers. We often do with passages on the home, children, and being a wife exactly what some Pentecostals do with passages on tongues and healing or some die-hard Calvinists do with verses on predestination. For some Pentecostals, those passages on tongues and healing are not just part of the Bible, but they are trump verses that define their entire Christian life. If you go to certain Pentecostal churches you will not find whole-Bible Christians. You will find Christians whose whole existence has become wrapped up in a few passages. This means they are unbalanced because of the elevation of certain passages over other passages. If we emphasize passages on the home over, instead of alongside, the rest of the Bible then we will find ourselves doing the exact same thing. We will not be whole Bible Christians who are seeking to live out all the Scriptures. Being a whole-Bible Christian will mean headship and home-making and lots of children, but it will also mean mercy, courage, kindness, caring for the weak, discussion of doctrine and theology, learning how to forgive, and a whole host of other Christian virtues. Passages on the home, submission, and raising children should be frequently taught. But I am reminding you that those passages are not enough for a Christian woman to thrive in her vocation. What could be some consequences for our women if they are not whole-Bible Christians? Let me list a few. First, the women in the body could become mal-nourished. They will find themselves looking for strength to do fulfill their vocations, but lack the ability because they are not being fed by the whole counsel of God. Just taking a few passages and applying them constantly is like eating the same food over and over again. Parts of a Christian woman’s life will be untouched by Christ and His Word if the focus is only on passages that directly relate to the home. Second, not applying the whole Bible could allow women to keep a low standard. They can say, “I am keeping house and therefore I am obeying Christ.” “I am in submission to my husband and therefore I am obeying Christ.” These are good things, of course. But Christ doesn’t just say, “Manage the home” (Titus 2:4) or submit to your husband (Ephesian 5:22). He also says, “Blessed are the poor in spirit.” He says, “Above all else put on love, which is the bond of perfection.” (Matthew 5:3, Colossians 3:14) He tells us that he is the “Alpha and Omega” and that one day we will sit with him on his throne. (Revelation 1:8 and 3:21) All of these verses apply to the women in our midst. If we only look at the passages that directly address the home life then a lot of the Bible can be ignored. You see this same thing with die-hard Calvinists who cannot show mercy, but have their ordo salutismemorized in four languages. Third, it could cause women to ignore preaching and teaching if it is not specifically on the home. The way the Bible is applied at home will also be the way preaching is applied. If the pastor is preaching on the practical aspects of home life, the roles of men and women, or raising children then the women are all ears. However, if he is preaching on the superiority of Christ to the angels from Hebrews 1 or the life of Hezekiah from II Chronicles 29-32 they might ignore the practical application of those passages. I am not saying they will not listen to the sermon or even think the sermon is good. But they will not apply it to themselves as they ought. Fourth, the Word of God could be dishonored. Any time we choose to minimize or ignore a portion of God’s Word, God’s name is dishonored. This goes for Titus 2:5. But it also goes for Titus 3:1-2. In other words, if we focus on specific portions of Scripture while minimizing other portions God and his word will be profaned. The goal in any church should be to “present every man perfect in Christ Jesus.” (Colossians 1:28) In our age, where the home, children, and mothering are despised we will need to teach, preach, and discuss with regularity the wonderful vocation God has given to the ladies in our church. However, we need to guard ourselves that we are not ignoring or minimizing large portions of the Scriptures and thus leaving the women in our churches weak and unable to fight the battle. ← Are You the Antichrist? Very encouraging and convicting post — truths to be reminded of on a daily basis.